Ultimately, the service plans to integrate EW with cyber and information operations across all of its echelons. The Army increased spending on Multi-Function Electronic Warfare six-fold, from $4 million in 2017 to $24 million in 2018, and its Multi-Domain Task Force has been developing EW capabilities in the Pacific region. Meanwhile, the Army is increasing the size of its cyber corps by bringing EW troops into the fold. In October, the service brought the EW career field (29-series) into the cyber operations career field (17-series). “We have really focused on the next phase of development and that’s in our electronic warfare force,” Buckner said. In addition to putting an EW platoon with each brigade, cyber and electromagnetic activity cells (CEMA) will be created to advise commanders at the brigade, division, corps, and Army Service Component Command levels, the Army said. 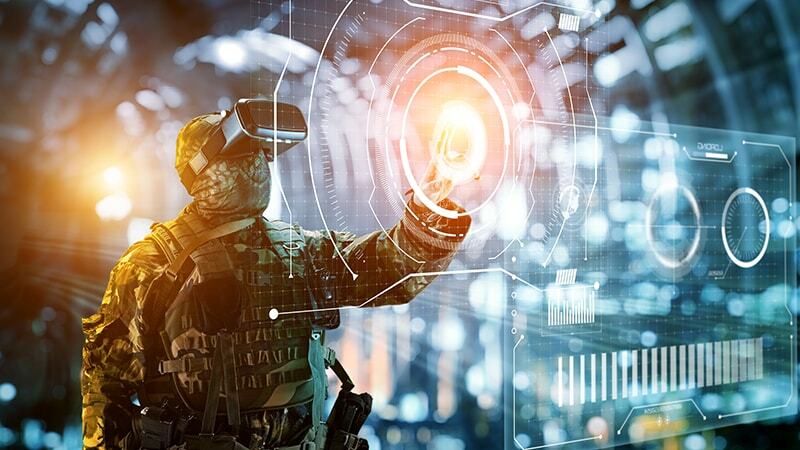 And a Cyber Warfare Support Battalion, expected to grow to 600 personnel within expeditionary cyber teams over the next half dozen years, will be available to support tactical forces as needed. It’s part of a DoD-wide push toward greater use of EW, reflected in programs such as the Air Force’s Electronic Warfare and Electromagnetic Spectrum Superiority initiative and the Navy’s focus on the Next Generation Jammer to counter EW attacks. The Defense Information Systems Agency (DISA) also just announced that it is creating a Joint Spectrum Data Repository to collect, standardize, and share spectrum-related data. The repository, run by the Defense Spectrum Organization, will provide access and customized reports on data up to the Secret level. DISA said it plans in the coming years to also provide additional data sources, data quality assessments, and other services. EW essentially concerns ensuring communications by protecting it from enemy attacks and disrupting an enemy’s communications. On the defensive side, EW can protect radar signals and weapons guidance systems, and foil attacks against ships, fighter jets, and other larger platforms. It can detect and thwart signals that set off improvised explosive devices, protect against efforts to jam communications, or defeat attempts to take control of drones. Offensive EW operations do the opposite, looking to disrupt enemy communications and signals intelligence, and, when possible, take over enemy drones.